“Henry Cowell’s music covers a wider range in both expression and technique than that of any other living composer.” So wrote composer-critic Virgil Thomson. To some, Cowell is a radical experimenter, to others, a tuneful lyricist; to some he is primarily a symphonist—over a dozen symphonies to his credit—and again to still others, an orientalist, a writer of Irish reels and ballads, or a composer of Hymns and Fuguing Tunes which re-state an old American musical tradition. 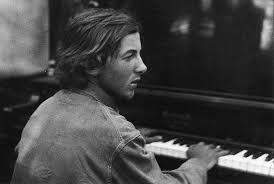 Born in San Francisco, March 11, 1897, Henry Cowell spent his childhood in an area in which the Celtic and American folksongs of his parents and the music of Asian playmates became equally natural to him. In 1912 he gave the first public performance of his piano compositions, using broad chords of massed seconds, which he called tone clusters. Programmed on this 1912 recital was The Tides of Manaunaun, one of his earliest piano compositions.